Prescription opiates can be a good choice for the treatment of pain in certain patients; however, prolonged use of these habit-forming painkillers can lead to addiction. Opiates affect how the brain reacts to pain, producing a “feel-good” sedation that confuses the brain receptors responsible for feelings of reward and pleasure. The central nervous system, respiratory system and cardiovascular system all are affected on account of increased feelings of pleasure. 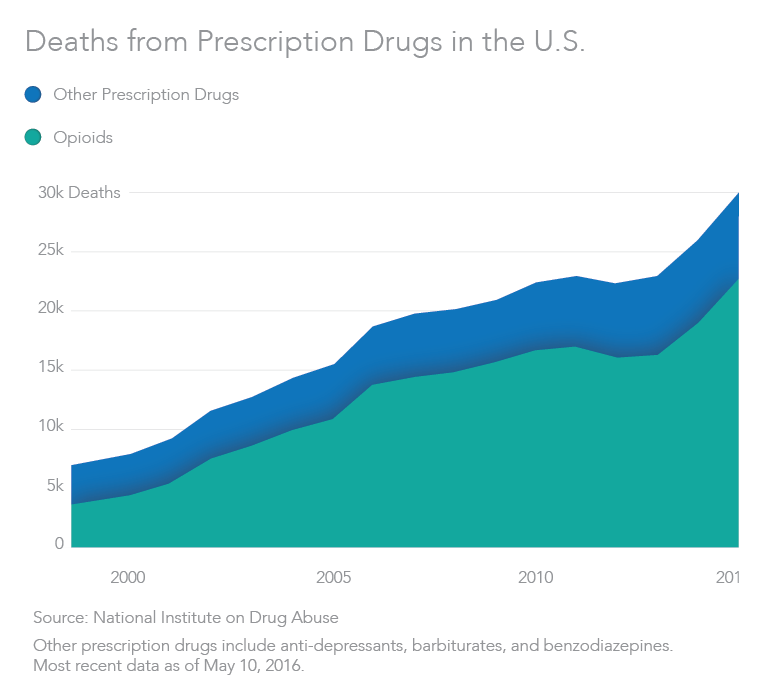 Opioid addiction can change the chemistry of the brain, causing the individual to become increasingly dependent on the drug, both on a physical and psychological level. Opiate withdrawal can be an uncomfortable process, and for patients who are suffering from prolonged addiction, detox should be done under the care of medical professionals in a controlled environment. The case of mild opiate withdrawal symptoms, treatment is done with aspirin, acetaminophen (or Tylenol), and nonsteroidal anti-inflammatory drugs, like ibuprofen. Treatment of more advanced opiate withdrawal, includes administering clonidine in a medical facility to reduce symptoms such as cramping, muscle aches, anxiety and restlessness. Suboxone, a combination of a milder opiate (buprenorphine) and an opiate blocker (naloxone), is effective in preventing constipation. If taken orally, Suboxone is effective in shortening the length of the detoxification process. Additionally, methadone can be used during detox, and is sometimes used for long-term maintenance. Unfortunately, this strong opiate has a high potential for abuse and addiction. In order to prevent dependence. This medication must be controlled and taken under the supervision of a medical professional. Treatment for opiate addiction starts after checking in to an addiction treatment center. Addiction professionals and medical experts will examine and evaluate the patient’s physical and psychological state, as well as their medical and drug abuse history. The next step is detoxification, and the patient’s state upon entering treatment, as well as the severity of their addiction will determine what type of detox method they require. Medications like buprenorphine, naloxone and buprenorphine (Suboxone), and methadone can be used by certain treatment centers to mitigate intense symptoms of opiate withdrawal. Once the patient is medically stable after detox, and medications are no longer being administered, he or she can continue with the psychological rehabilitation portion of their opiate treatment plan. During this phase of rehab, patients learn new, positive and effective coping skills to deal with triggers and avoid relapse. If the drug treatment facility has a dual diagnosis treatment program, patients who struggle with drug-related psychological issues, such as anxiety or depression, will see a psychiatrist or licensed psychologist to help them address both conditions. The process from detox to rehab lasts 6-8 weeks, depending on the patient’s addiction length and quantity of opiates taken. The recommended treatment for opiates addiction is detox and rehab as a combination. If you or someone you love is struggling with an opiate addiction, the treatment specialists at Restore Center LA can help. We have comprehensive opiate addiction treatment programs designed and tailored to fit the needs of each patient. Contact Restore Health and Wellness Center at (888) 979-4570 for more information about how to get started on your journey to recovery.